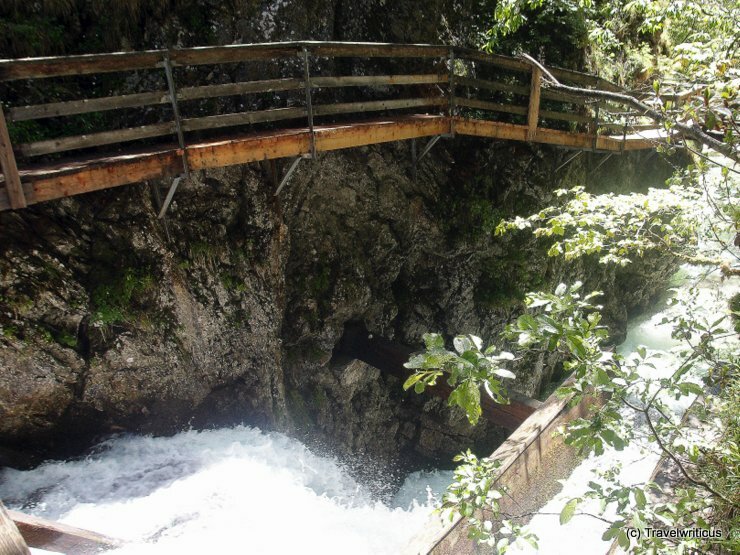 The trail along the Mendlingtal is a path of about 3 kilometres. It leads from a theme park about logging up to a former Hammerherrenhaus (Home of the owner of a hammer mill). The scenery is changing several times. Sometimes one walk along a tame creek, sometimes one walk along footbridges high over a stream in full spate. 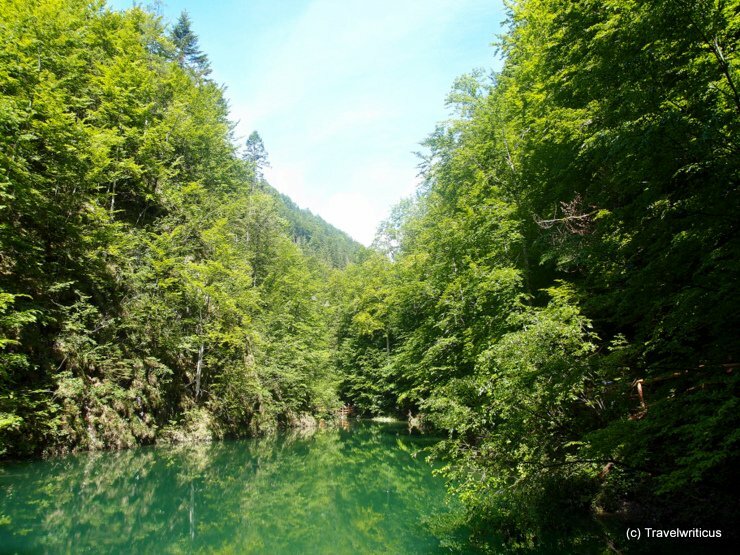 … the hiker experiences a wonderful calm lake above the same dam. 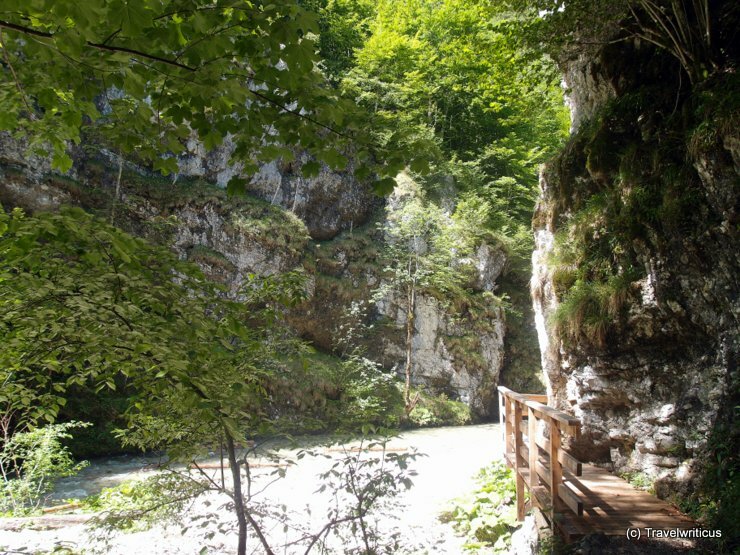 This entry was posted in Gorges, Trails and tagged Austria, Lower Austria, Mostviertel by Travelwriticus. Bookmark the permalink.